Muller: You are a Canadian spy working for the Allies. Code-name Moose. 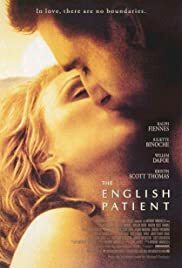 Q: Is 'The English Patient' based on a book? Q: How did Geoffrey (Katharine's husband) know she was having an affair? Tuscany WW2. Traumatised by the loss of anyone she cared for or loved, Canadian nurse Hana stays behind her unit with a dying patient, Count Laszlo de Almásy. de Almásy is burnt all over and has lost his memory. When a vengeful, mysterious thief arrives at their abandoned monastery with a past that seems to include de Almásy , and as Hana reads from his book, memories return regarding his past. He relives his story of lust and love and the destructive force that forbidden passion unleashed upon his life. This is quite a modern epic. It has the running time of an epic, it has the gorgeous cinematography of an epic, it has the acting of an epic and it has a story of love (lust) against the backdrop of major events in history. Even though it changes or leaves out a significant amount of the original novel it still manages to be a great mix of passionate desire and mystery. The mystery of the story is represented by the thief Caravaggio who casts light on what he knows of de Almásy's past (as he sees it) while the love story is unfolded as it develops in a passionate affair between him and Katherine, a colleagues' wife. The story is compelling enough to carry the long running time, at times the pace seems a little slow and when I saw it in my local multiplex there were some moments where large portions of the audience seemed to be shifting in their seats. The love' of the story was interesting as it seems to be contrasted with Hana's relationship with Kip the bomb disposal expert. While de Almásy's relationship with Katherine starts as lust and desire before growing into what seems to be love (or could be grief at the result of their affair), Hana's is portrayed as purer and more careful as she fears those she loves will die. This difference helped me see that the film did want to show the destructive power of lust and affairs, however the fact that the central relationship was based more on lust than love took away from the emotional core of the story. The acting is almost impeccable. 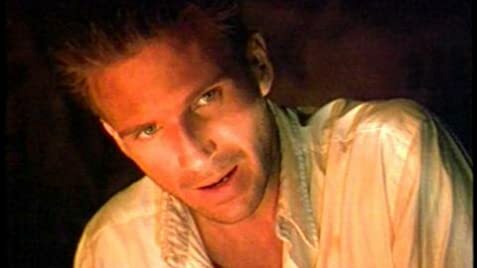 Fiennes is excellent even when he is lost behind an unrecognisable mask of burnt flesh. Thomas is actually very good, I find she tends to be very wooden in some things but this type of very English character brings the best out of her. Binoche is excellent as Hana and carries the heart of the film. Dafoe is truly excellent - his element of the story is the mystery and he does it well. 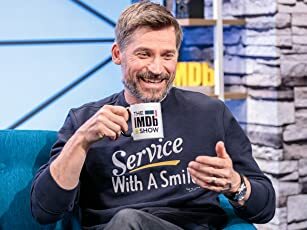 He is a great actor and deserves to be in things this good. The support cast include plenty of good actors including Colin Firth, Jurgen Prochnow and Naveem Andrews. The film is beautifully shot - even though it's all a bit too picturesque to be real! However the director can handle himself well with many different scenes - a tense bomb diffusal, a passionate love scene, a dangerous sand storm etc. Overall the slow pace may frustrate some younger audiences but this is a really good film that draws it's values from classy sources. 94 of 136 people found this review helpful. Was this review helpful to you?